DETROIT, Jan. 9, 2012 – The 2012 Hyundai Elantra took top honors in the most exclusive award in North America when it was named 2012 North American Car of the Year today. A jury of 50 independent North American automotive journalists evaluated each of the new cars introduced last year and chose the 2012 Hyundai Elantra as the winner. The award was announced at a news conference at the 2012 North American International Auto Show in Detroit, which marks Hyundai’s second win. The Hyundai Genesis was named North American Car of the Year in 2009. The jurors considered more than 50 new vehicles, before selecting the top three cars and top three trucks. The Volkswagen Passat and Ford Focus were the other car finalists. This is the 19th year of the awards, which were inspired by the prestigious European “Car of the Year.” The jury is administered by an organizing committee and funded exclusively with dues paid by the jurors. Jurors judge the cars on a number of factors including innovation, impact on the industry, design, safety, handling, driver satisfaction and value for the dollar. 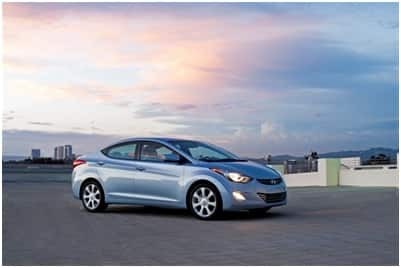 Elantra’s standard fuel economy is EPA-rated at 29 mpg city and 40 mpg highway, amd 33 mpg combined, with the six-speed automatic transmission or manual transmission. These figures give Elantra a highway-only driving range of up to 500 miles. Elantra’s strong EPA ratings are backed up by the highest owner satisfaction with real-world fuel economy in the compact class, according to data from J.D. Power and Associates. Most importantly, Elantra is driving traffic to Hyundai showrooms. Elantra’s record 186,361 sales helped Hyundai achieve its record sales of 645,691 units in the U.S. in 2011. Hyundai Motor America posted a 20 percent increase over 2011 total sales.